Splash in the blue sea, work on your surfing skills, or grab a good book and forget your cares at Jimbaran Bay, a white-sand stretch of Balinese coastline. Just a stone's throw from Kuta and the area's international airport, this spot remains relatively uncrowded, and the clear, clean waters invite you for a dip. Rocks can hamper entrance into the sea at low tide, however, so consider bringing water shoes. Surfers can rent equipment on site and perfect their skills with a private lesson. A walk away from the water you'll find a string of seafood eateries, offering nourishment and a relaxed atmosphere to famished visitors from around the globe. To visit Jimbaran Bay and get the most from your holiday in Jimbaran, create itinerary details personal to you using our Jimbaran online trip planner . Originally three O ' Day in the afternoon gas is not very good, to five or more days of good turn, but also very lucky to Kimba to the Sea Bay beach with stopping meal, watching the sun to enjoy BBQ is really a great enjoyment, the proposal has to Barry Island must go to feel it. The beaches are quite clean and lively in my opinion. Suitable to invite children to play the sand dipantai. In addition to that here there are also some seafood restaurant. While waiting for the sunset while you can eat at the restaurant around the beach. Every day, we help thousands of travelers plan great vacations. Here are some tips on how to use your Listing Page to attract more travelers to your business - Jimbaran Bay. Promote your permanent link - https://www.inspirock.com/indonesia/jimbaran/jimbaran-bay-a114410171 - on your website, your blog, and social media. 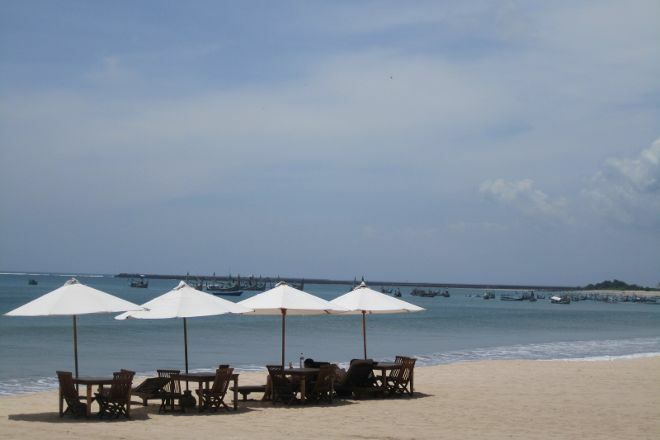 When a traveler builds a plan from this page, the itinerary automatically includes Jimbaran Bay. This is a great way for travelers looking for a great vacation in your city or country to also experience Jimbaran Bay. Promoting your link also lets your audience know that you are featured on a rapidly growing travel site. 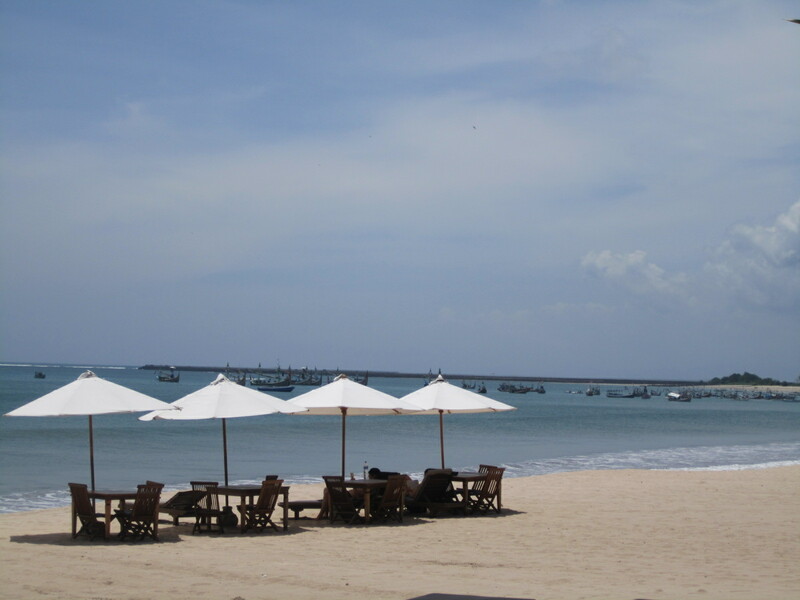 In addition, the more this page is used, the more we will promote Jimbaran Bay to other Inspirock users. For best results, use the customized Trip Planning Widget for Jimbaran Bay on your website. It has all the advantages mentioned above, plus users to your site can conveniently access it directly on your site. Visitors to your site will appreciate you offering them help with planning their vacation. Setting this up takes just a few minutes - Click here for instructions.